Just east of Pioche, Nevada lays Echo Canyon State Park. You are not likely to find it listed in many travel guides, but if you are an adventurous RVer (like me and my wife), make sure you detour off Highway 93 for a couple of days to explore the area the next time you find yourself in Eastern Nevada. 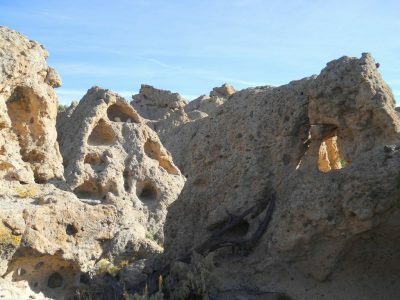 In this installment we will explore Ash Canyon Trail which is part of Echo Canyon State Park. Ash Canyon is named after the eroded volcanic ash that comprises most of the canyon. A well-built and marked trail (safety cables where needed) leads you into the canyon where shapely rock walls tower over you, side canyons tempt those who like to scramble, and shutter bugs will enjoy capturing shapes that look like animals or other familiar shapes. If you want to maximize your visit to Ash Canyon (i.e. less hiking and more exploring), find a place to park on the shoulder of Rose Valley Road (we parked at N37° 54.914 W 114° 15.520) and proceed to the vicinity of N37° 54.883 W114° 15.546 where you will find the trail heading up the hill to the north. After hiking uphill for about 4/10ths of a mile, you will enter the side of the canyon via an opening in the rocks. Once in the canyon proper, the trail will head in a northwest direction. Follow the trail, exploring any side chutes that interest you, until you exit the canyon after several hundred yards. Be sure to enjoy the views to the south when you exit the top of the canyon. 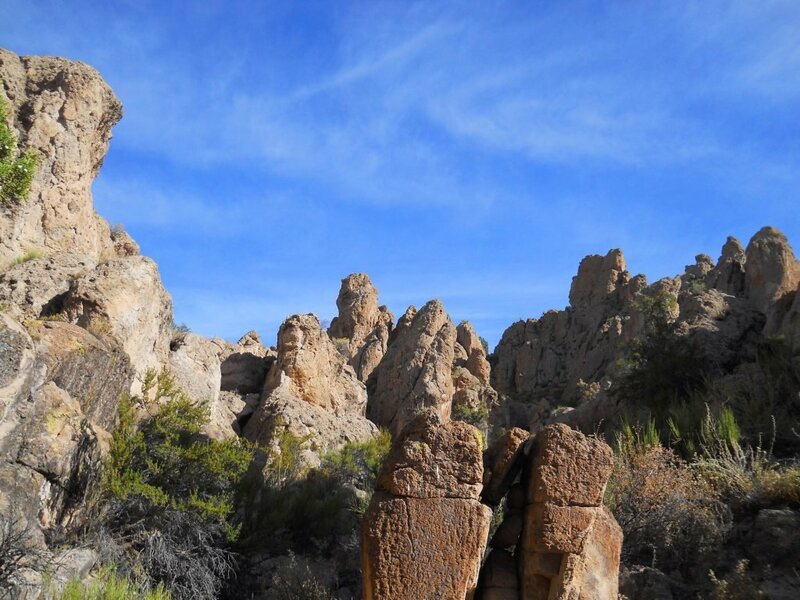 Then return to your vehicle the way you came enjoying the canyons rock formations from a different angle. There is a nice campground in Echo Canyon State Park, however it does not any hookups available. 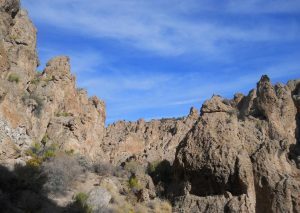 Getting off the beaten track and exploring lesser-known areas of Nevada, just another adventure in RVing!